I tackled my swap blocks last night and today, wanting to get them all out of the way. I’m only in the two block swaps for the moment: Fat Stash Bee and Granny Block Bee. 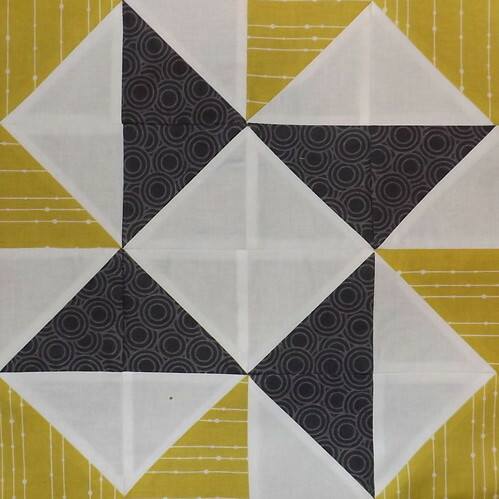 I’d received Svea P’s fabrics for her Fat Stash block very early this month – I just didn’t really have any drive to get them done. Bad me! So, I forced myself to start with her block, because hers was waiting the longest. Svea requested feathers from Anna Maria Horner’s pattern. I do have to admit that I really love the look of this pattern though I really kind of hate putting it together from templates. Svea provided a lovely Essex linen for the background and Sketch in Chocolate for the spine of the feathers, and requested scrappy feathers. I have to admit that once I realized what she’d given me to work with, I was super excited. I’ve been wanting to try Essex linen in something, but was afraid to buy yardage in case I hated it. It was a pleasure to work with, and I loved the contrast in textures. 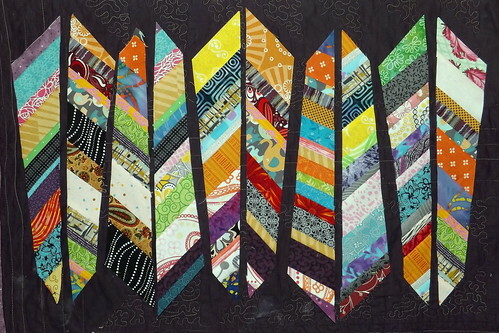 Yeah, that was a lot of strip piecing there… Still, these are fun, and feathers might be making an appearance in a project soon. 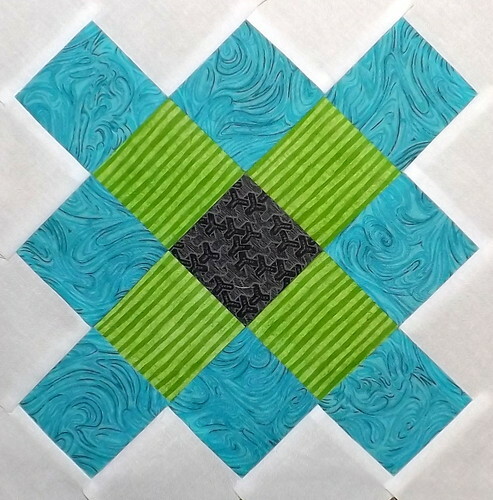 From there, I moved onto Susan’s blocks for Fat Stash for December. 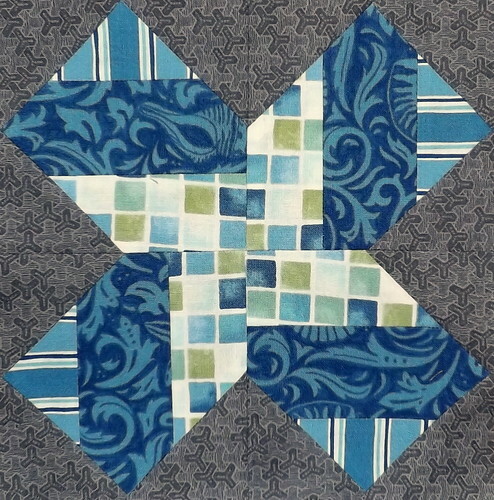 She requested Windwill blocks, from a Moda Bake Shop pattern. I sort of ending up hating this pattern. It’s not that it’s not easy, because it is! It would just be a lot easier to do these blocks with Flying Geese subunits. 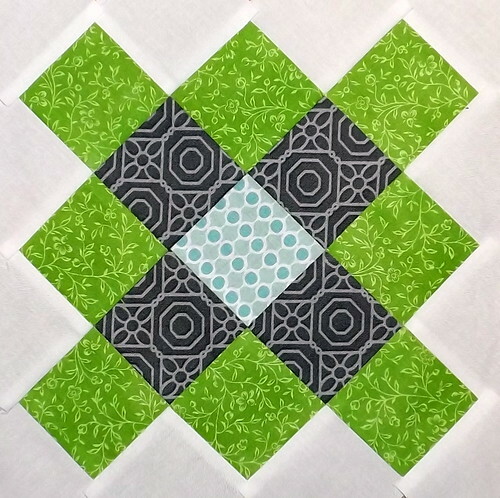 Next up were Kelli’s blocks for Fat Stash for January. She’d sent her fabrics super early, to prevent any parcels from getting lost in the mail during the Christmas rush. Smart move! She sent us jelly roll strips of Seascapes by Deb Strain for Moda, and asked that we use a gray fabric for the background. She also asked us to follow piecing instructions for Origami Stars. 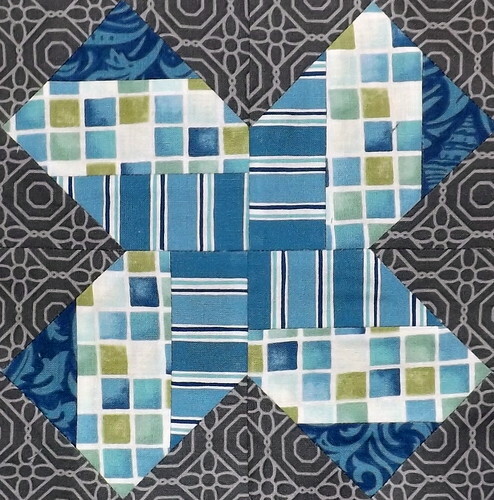 There was enough fabric to do two blocks. 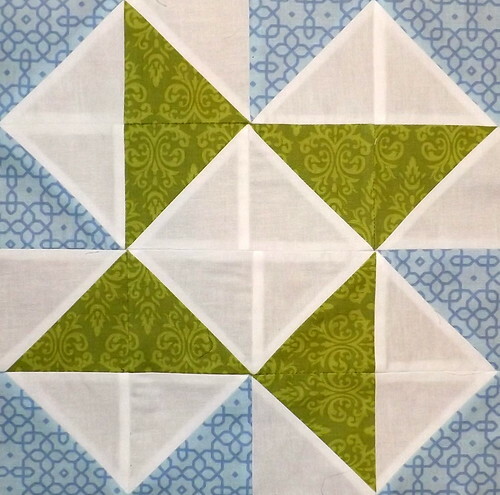 From there, I turned my attention to the Granny Block, which I was already caught up on. My thought was to see if December’s queens had posted their requests for this month. Then I realized that I was one of the queens for December. D’oh! So… that’s my last two days of sewing. I figure that’s a good way to wrap the end of November! Now, I’m off to make baked ziti and to celebrate kiddo’s sixth birthday! That’s right! Six years ago today, Zebediah was born, at 11:50 PM. It’s been amazing to watch him grow and develop. I’m looking forward to many more birthdays to come!